If you are new to our blog, welcome to KS Design Company. My daughter, Kylie, and I started this business last summer and are having a blast working together. 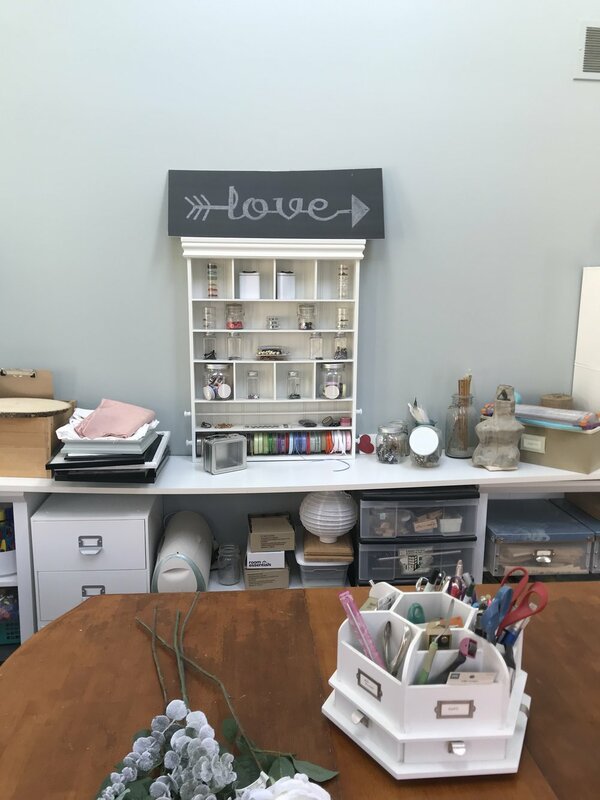 We decided to tackle the fall One Room Challenge as guest participants after following along for years as the inspirational and creative designers worked their magic. 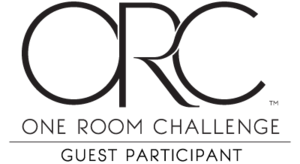 If you are unfamiliar with the One Room Challenge, it is a bi-annual event that features 20 featured designers and many guest participants who makeover one room in six weeks. Better Homes and Gardens is the media sponsor. Last fall’s ORC entailed laughter, hard work, some DIY projects, and maybe even a little bit of panic as Kylie lost her wallet at a Craigslist meet-up. (We did end up with some cool chairs though!) You can check out the final details of our first ORC here. Since we chose a room in Kylie and Matt’s house in the fall, we are going to transform the sunroom in my husband, Lance, and my house this spring. We are ready for round two! 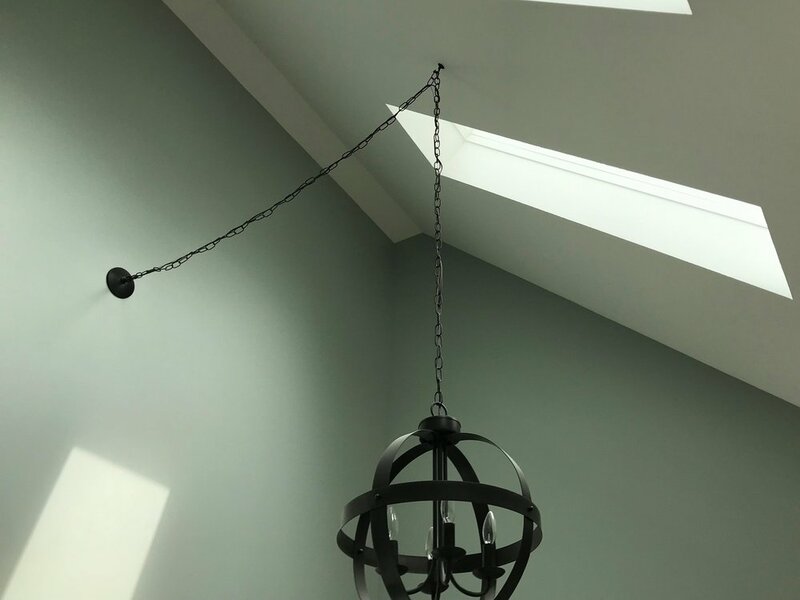 When we moved into our home 15 years ago, this room had a very unusual, unpleasant, unwelcome odor emitting from the bright yellow sponged painted walls. We learned that the previous owner had a ferret, and it’s clear he didn’t like the sponge painting in his space either. 😉 After much airing, cleaning, and painting, the odor was finally gone. The sunroom is located right off of the great room and is accessed through french doors. In our family, the room originally functioned as a sitting room but was underutilized. 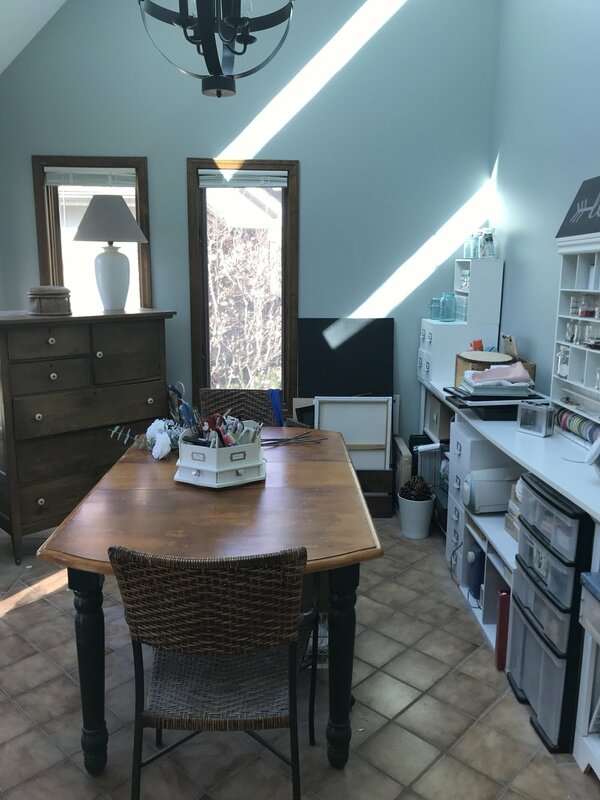 Ten or so years ago, I converted it to a craft room. Lots of hours of scrapbooking, finishing kids projects, and wedding designing took place within these four walls. With the digital age, it’s easier to preserve memories online, the kids are grown (where does the time go?? ), and this room has become a dumping ground for the overflow. We would like to have a place for overnight guest on the main floor. 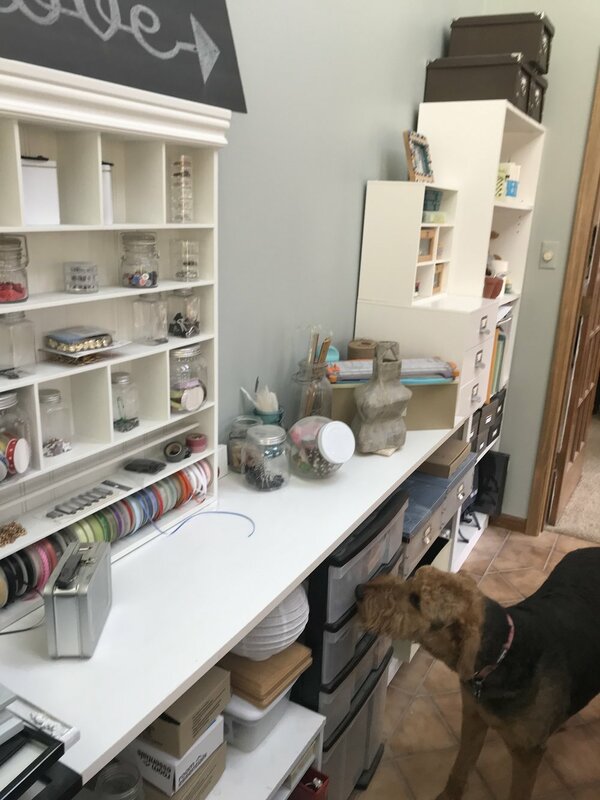 The space will act as storage for frequently used craft supplies. The rest of the stash was donated or is living in another room. Finally, it will be a quiet place to read, play games, and soak up some vitamin D! So, let the work begin. 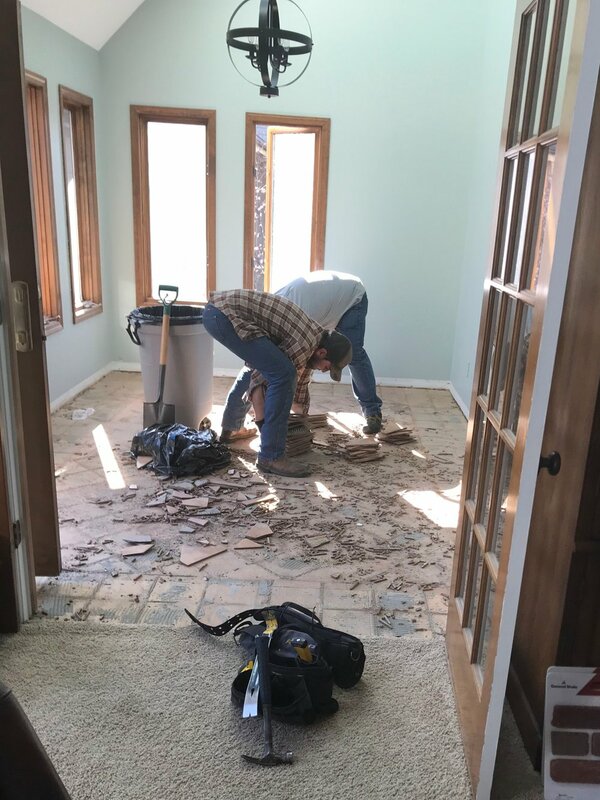 A big shout out to Lance and our son, Keenan, for demoing the floors! (Bookcase building next, pretty please!) Check in next week for the design plan and progress on the floors. Thank you for following along on our journey. Make sure to check out the incredible ORC work being accomplished by the other guest participants and the 20 featured designers.